Stuff You Won't Find In Fortune Cookies! I was born in Taipei, Taiwan. When I was about 7, my family and I immigrated to South Africa, so my sister and I could learn English. At first it was tough; on the first day of school here I remembered thinking I was like some zoo animal at which my classmates stared at. But then as I picked up English, things got easier. And now 12 years later, I am pretty much a full-blown South African. I come from a nice family and had a good education thus far, and my childhood has been a very good one with mainly happy memories. South Africa has been a wonderful place to spent my childhood, true, it has the worlds highest Crime Rate and highest cases of AIDS worldwide, I have been fortunate enough to have lived in a bubble where this is all less evident. People unfamiliar with Africa usually associate her with death, poverty and big scary animals. This is however not the case as many parts of Africa are actually very advanced. I remember when I went back to school in Taiwan once during a short holiday; one of the kids there asked me if I had kept a lion in my garden. I told him yes and also said I rode an Elephant to school everyday. Economically the strongest in Africa, life here in SA (if you have money) can be just as good as any first world countries. The relaxed atmosphere, beautiful scenery, brilliant weather can make everyday seem like a holiday. I can see the sea from my house and the beach is about 20 minutes drive from where I live, and if I fancy a hike, about half a days traveling will get me to the nearest mountain. Now with less then a week to go, I am leaving all this for good, along with the friendship I have built over the years, to study back home, in a city with a population density so high, when you fart about twenty other people will wrinkle their nose. Alas…South Africa, I will miss you and your wonderful, diverse people. Maybe someday we shall meet again. Until then…Keep Well. nice post. 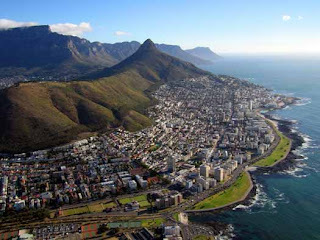 i would love to see south africa. cool blog. A 18 years old Taiwanese guy who has lived in a Western Society (S.Africa) for 12 years. Now returning home to study and rediscover his Culture. Oh! And he also happens to be in the Closet. PLEASE NOTE: The views and opinions expressed here on this blog are solely those of the author and do not necessarily reflect the teachings of Confucius himself - who was indeed a wise old Chinese guy after all! 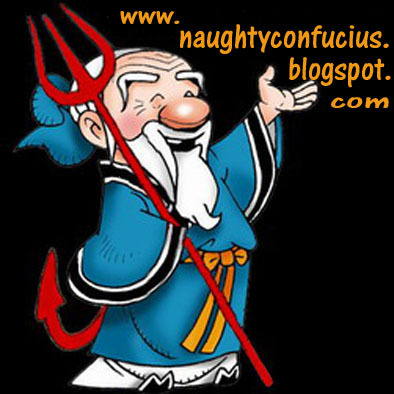 Naughty Confucius claims no credit for any images and embedded videos featured on this blog. All visual content is copyright to its respectful owner(s). If you own any of the images or visual contents posted on this blog and do not wish them to be featured here, please contact me and the said images or embedded videos will be removed.